I’m so excited to be connecting with you this week to share a new podcast episode . . . and to share that spring enrollment for the Crystal Shaman Initiation Program is open (Yay! but more on that in a bit). It’s been a bit since I’ve published a new podcast episode . . . between mercury retrograde, winter, and being immersed in teaching, I was deep in a creative cave. As the spring season has been finding steadiness, I’ve been feeling ready to crack out of that creative cave and begin sharing some of the magic and insights that have been showing up. So, here’s what you can expect in the coming weeks . . . a new series of Crystal Shaman Life podcast episodes on the 4 Facets of Crystal Shamanism: crystal connection, earth relationship, shamanic journeying, and ceremony + ritual. A super yummy series filled with great stories and crystal wisdom​. 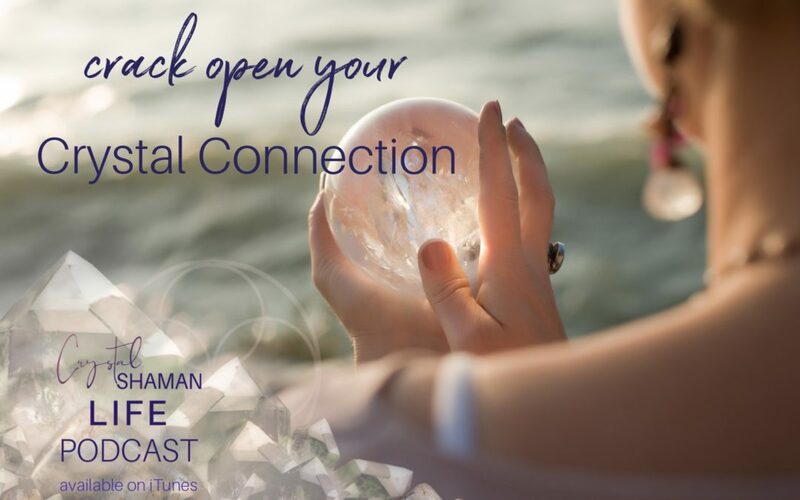 This week, we are diving into the topic of Crystal Connection and how we can crack that open (ok, I stumbled upon a shop named Crystals + Coconuts in the Florida Keys and it inspired me to play with the phrase ‘crack open’ in connection with crystals . . . so we will be doing just that this week. Hehe). 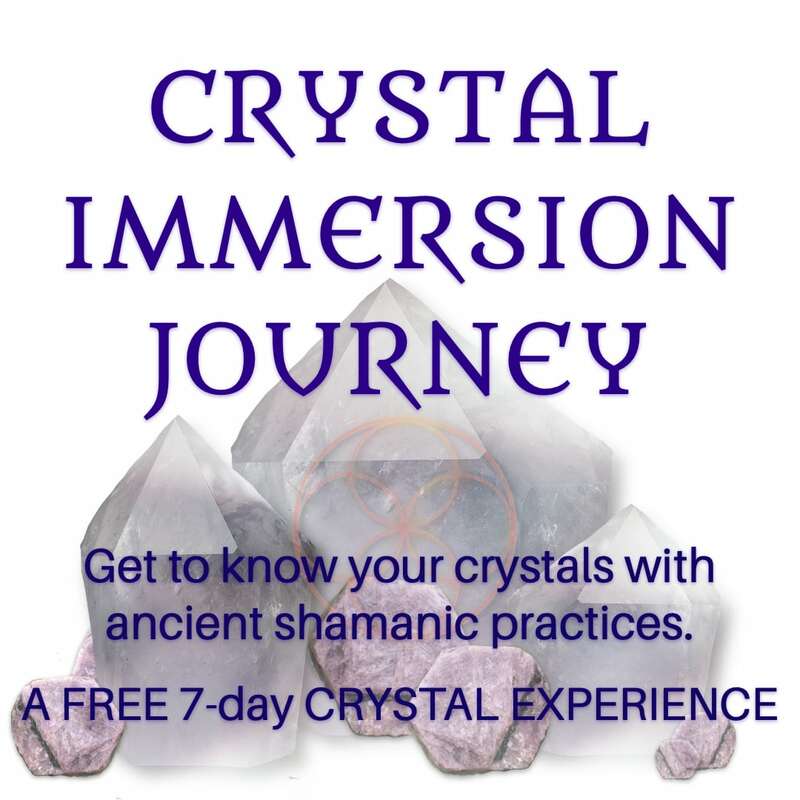 Okay, now back to the other bit of exciting news Spring Enrollment is NOW OPEN for the Crystal Shaman Initiation Program. ​Yes, it is time! I’m so excited. If the shamanic path is one that you’ve been feeling called to either from the perspective of taking a personal healing journey or from the place of desiring to become a practitioner of crystal shamanism (or both), I would LOVE for you to join us this spring.